The township of Buderim Village came alive on the weekend with a street party hosted by Buderim Lions and Rotary. Approximately 6000 people attended the event and enjoyed family orientated activities. The street party now in its fifth year is organised to highlight the community spirit of Buderim. With the major thoroughfare into Buderim closed for the duration of the festival, local police would like to thank the SES who manned the road blocks and the motorists for their patience and understanding. This event provided an opportunity for community groups to showcase their organisations, this also included the emergency services. 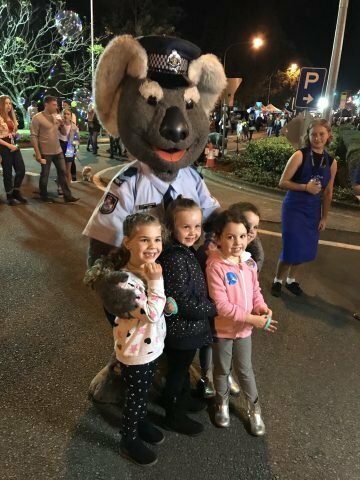 Senior Constable Clancy made an appearance and was very popular with the young crowd. 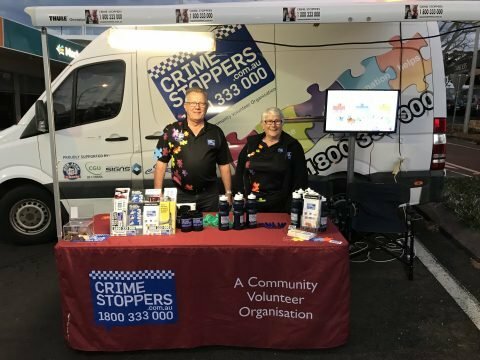 The Sunshine Coast Volunteer Crime Stoppers committee, also made an appearance with their display van to educate the crowd on the important work undertaken by this community organisation. Local police were extremely happy with the behaviour of the crowd and enjoyed being part of this iconic festival.